To someday play for the Moose Jaw Warriors was always the dream of a young Brett Howden. Watching older brother Quinton, a former first overall WHL Bantam Draft selection over parts of five seasons in Moose Jaw, Brett had high hopes, but was always reminded that things don’t always go according to plan. Fast track to 2017 and Brett Howden, like his older brother, is a first round NHL Draft selection and marquee player on a Warriors team that appears capable of big things down the stretch. “I wanted it so bad as a kid,” the Oakbank, Manitoba native reflected. “I really wanted to do everything Quinton did, but I remember my dad having the conversation with me that things don’t always work out that way, and that I’d have my own opportunities. Currently in the midst of his first season in Russia’s Kontinental Hockey League after a five-year pro stint in North America that featured 97 NHL contests, Quinton Howden is one of the rare players that suited up in three separate editions of the CIBC Canada Russia Series. A silver (2011) and bronze (2012) medalist with Canada’s National Junior Team, the older Howden used the annual clash with Russian Junior Team hopefuls as a springboard to international success. A first round pick of the Tampa Bay Lightning in 2016, Howden spent part of the past week working with Lightning skating consultant Barb Underhill. The reigning WHL ‘On The Run’ Player of the Week has nine goals, 13 assists and 22 points over 14 games this season. The 6-foot-3, 198Ib. 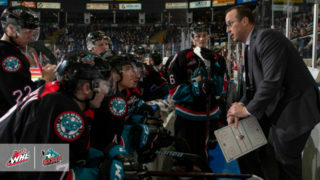 Howden has been an asset to Warriors head coach Tim Hunter, the man who will serve as the bench boss of Team WHL while also returning to Canada’s National Junior Team in an assistant coaching capacity this December. 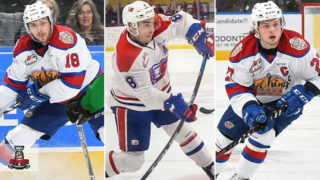 Off to a 12-4-0-0 start to the season with plenty of provincial competition in the CHL’s second-ranked Swift Current Broncos and the 2018 Mastercard Memorial Cup host Regina Pats, captain Howden and the Warriors have set out to be the best. “We’ve been building for this season for three years now,” he said. “When Pointer (Brayden Point) left there were a lot of people doubting that we’d ever be able to pull things together, but I think we’re a deeper group now than we were then. 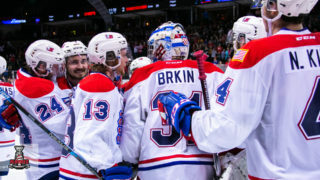 We relied a lot on Pointer and Huntsy (Dryden Hunt), but I think our secondary scoring has really improved, we’ve got a solid blue line and a good goaltender in Brody Willms. 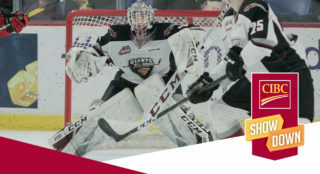 The last time the CIBC Canada Russia Series came to Moose Jaw in 2011, Quinton Howden wore the ‘C’ and scored on a penalty shot in a 7-5 loss to the Russians. 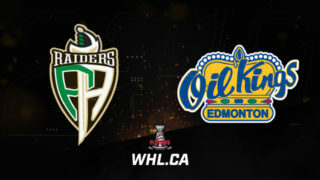 Younger brother Brett and Team WHL look to get the series started off on the right foot when the puck drops on Game 1 at Mosaic Place at 7:00pm CST/8:00pm EST Monday night. 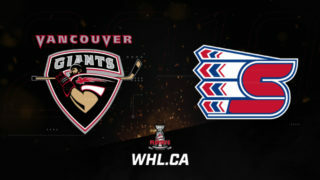 Catch all the action live on Sportsnet ONE, East and West.